Our product range includes a wide range of vibratory fluidized bed dryer, vibratory knock out tables, vibratory furnace chargers, vibratory screens, bin activators and vibratory compaction table. Our offered Vibratory Fluidized Bed Dryer is designed to dry and/ or cool a variety of products at a wide range of feed rates. 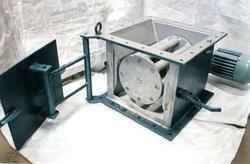 EMI Fluid Bed is designed to dry products as they float on a cushion of air or gas. In this state, the solids behave like a free flowing boiling liquid. Very high heat and mass transfer values are obtained as a result of the intimate contact with the solids and the differential velocities between individual particles and the fluidizing gas. This unit not only acts as a shakeout deck but also includes an integral attrition mill section Vibratory Knock-Out Tables. 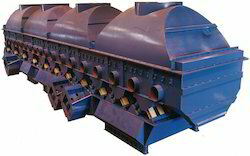 We have emerged as the foremost manufacturer of Vibratory Furnace Chargers. 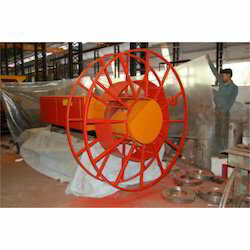 Our organization is engaged in manufacturing optimum quality of Vibratory Screens that are used for removing impurity from coffee, rice, and tea. Foods: Pea Grading, Instant Coffee Powders, Ground Coffees, Dried Milk, Sugars, Salts, Cereals, Starches, Spices, Nuts, Bolting Flour, Potato Powder And Flakes, Powdered Eggs, Candles, Powdered Cheese, And Bread Crumbs, Potato Chips, Cocoa, Coffee Beans, Cooking Effluent, Cake Crumbs, Flour, Dried Fruit Powder, Jam, Peanut Oil, Tea. Brewery Industry: Barley, Spent Grain Waste, Caustic Soda Reclamation In Bottling Process. Chemicals: Polyvinyl Chloride, Polyethene Pellets, Melamine, Phenolics, Cellulose Acetate, Polystyrene, Sodium Carbonate, Calcium Carbide, Copper Sulphate, Detergents, Adipic Acid, Iron Oxide, Caustic Soda Flake, Dicalcium Phosphate, Stearic Acid, Titanium Dioxide, Zinc Calcium Carbonate, Silicon Carbide, Monosodium Glutamate, Calcium Chloride, And Sodium Cyanide. Plastic Industries: Pvc Granules, Plastic Compounds Etc. Pulp And Paper Products: Wood Chips, Particle Board, Sawdust, And Wood Flour. Fertilizers: Granulated Mixes, Potash, Phosphate Rock, Urea And Ammonium Nitrate, Sulfates And Phosphates. Abrasives: Carborundum, Aluminum And Blasting Silica. Reclamation: Separation Of Copper Wire From Foreign Matter, Removal Of Dirt From A Granulated Scrap Aluminum Lead Shot. 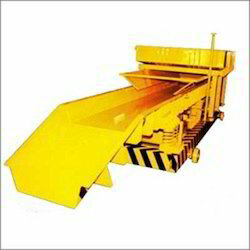 Bin Activators are recognized worldwide as the most effective means for discharging dry materials from storage Bins. 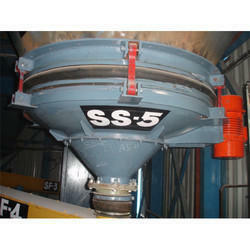 Our organization is actively engaged in manufacturing of Vibratory Compaction Table. No vibration transfer to the floor. Vibrating platform with a working surface as low as 2” from the floor. 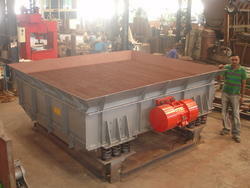 The platform table can be used under filling machines for packing drums and barrels. Low profile eliminates the need for raising machinery or breaking into the floor and makes loading and unloading heavy drums easier. Packing more material per given volume saves costly spaces and lower escalating transportation cost. Grid Top Tables: Automatic operation. Adaptable to any roller conveyor. Lift the grind top and take the load off the rollers. The vibrators are activated and the load vibrated. Air mounts are deflated and the load is back on the conveyor ready to be moved along. All done in seconds without handling. The Electro Magnetic Industries’ design uses strong light weight rectangular tubing for more vibration transfer to the load. Our offered Vibratory Spiral Elevators are a versatile unit for elevating small to medium size products within a compact footprint. 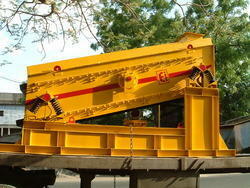 We are offering a wide range of Cable Reeling Drum. 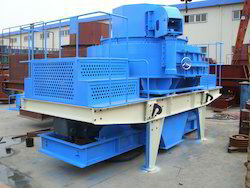 Our offered VSI (Vertical Shaft Impactor) is engineered for portable impact crushing that requires quick mobility with the reliable size of crushing. 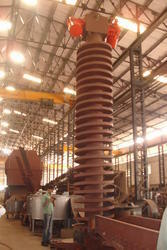 Looking for Vibratory Equipments ?